According to a 2010 survey by Pew Research Center, 28% of Americans don’t know any of their neighbors by name, and only 9% communicate with them via email. Those unfriendly statistics are something startup Nextdoor.com hopes to change. Our friends over at Sesame Street said it–sort of. 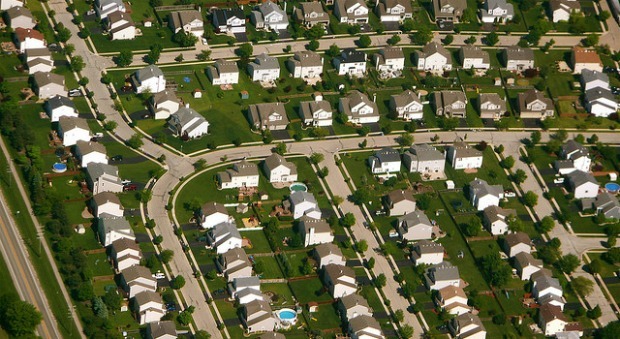 Who are the people in your neighborhood, anyway? According to a 2010 survey by Pew Research Center, 28% of Americans don’t know any of their neighbors by name, and only 9% communicate with them via email. Those unfriendly statistics are something the folks at startup Nextdoor.com are hoping to change. 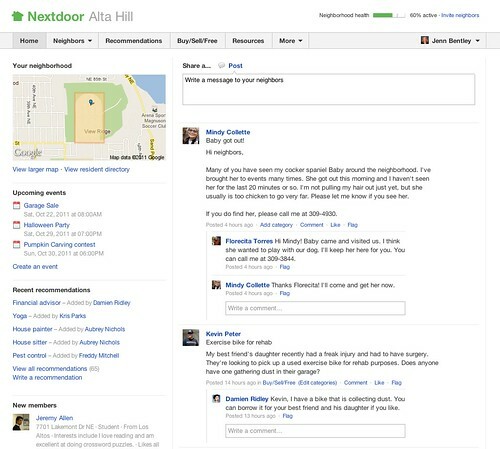 Think of Nextdoor.com as Facebook meets craigslist meets eVite meets Yelp meets Angie’s List–all within a free private social network that’s just for your neighborhood. Neighbors can use Nextdoor to ask questions (when is Trick or Treat? ), request and share local service recommendations (does anyone know a trustworthy babysitter? ), sell or donate items (looking to move one gently used Bowflex), and learn about and connect with their neighbors (who is the guy that always waves to me from three doors up? ), thus creating a sense of community that will benefit the entire neighborhood. Privacy and security are two of the cornerstones of their business model. To be a part of a neighborhood, you actually have to live there. They individually verify each home address before granting access to a community. Every neighbor must sign in with their real name (also verified). And to provide a safe and secure platform, each Nextdoor website is encrypted using the HTTPS protocol. Nextdoor is already being used in 176 neighborhoods in 26 states, impressive growth considering it was done without the benefit of any marketing or advertising. All of their pre-launch growth has been the result of good old fashioned word of mouth referrals. And if feedback from existing users is any indicator, their list of neighborhoods is about to skyrocket with the announcement of their official launch. “Since Nextdoor, our communication has become more frequent, open and helpful. We’ve seen lost pets returned in minutes; unwanted ping pong tables finding new homes in a matter of posts; and a heightened sense of security throughout the neighborhood when a recent crime wave hit,” said Brent Bamberger, a member of a Nextdoor community in Orinda, CA. In a rush to create connections with people from all over the world using Facebook, LinkedIn, and Twitter, somehow we forgot to connect with one of the original and arguably most important networks–the neighborhoods in which we live, work, and play. The folks at Nextdoor are hoping their new online community will help spark that neighborhood revival. Pay Shawn’s digital tree house a visit at shawngraham.me or continue the conversation on Twitter.